Rachenahalli is one of the few living lakes of Bangalore, in the north of the city. It is connected to water bodies upstream and downstream, particularly Jakkur Lake on the north-east. 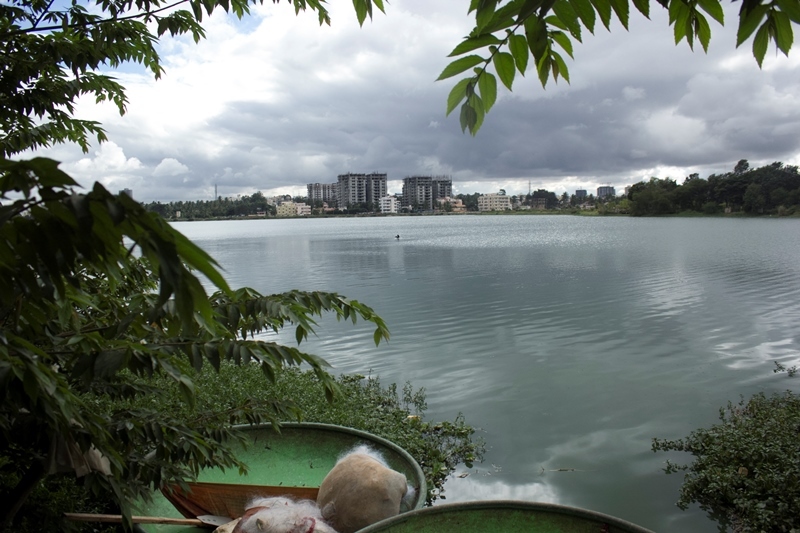 Both of these lakes have been rejuvenated at substantial costs by the Bangalore Development Authority over the last decade. 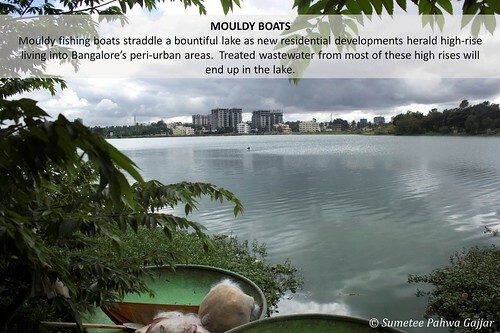 A sewage treatment plant (STP) with a capacity to treat 10 million litres a day was set up north of Jakkur Lake by the Bangalore Water Supply and Sewerage Board (BWSSB). Water from the STP flows into Rachenahalli when Jakkur Lake overflows during monsoon. Rachenahalli is an example of a thriving social ecological system; while providing natural resources to people living around it, acting as a sink for fisher folk cleaning fish or women doing Sunday laundry, receiving treated sludge from new residences around the lake, as well as from an upstream STP, the lake continues to live and support life. The author and photographer, Sumetee Pahwa, has been living in the vicinity of the lake for the last 3 years, since her return to India from Cape Town, South Africa. The lake and its living waters inspire and intrigue Sumetee. More recently, she has taken an active interest in the many ways that people derive resources from the water body and its surrounds.